Every producer placing their product in market shall be liable to obtain EPR authorisation from Central Pollution Control Board (CPCB). In case, the producer has started operations recently, i.e. the number of years is less than average life of their products, the EPR target as per Schedule - III (B) shall be applicable. These target shall be applicable from financial year 2018-19. When the products average life is achieved, e-waste already collected by producers in earlier years will be accounted for and suitable set offs shall be provided for the corresponding years at the time of fixing targets as per Schedule-III. 2017-18 - E-waste Collection Target is 10% of the quantity of waste generation as indicated in Extended Producer Responsibility Plan. 2018-19 - E-waste CollectionTarget is 20% of the quantity of waste generation as indicated in Extended Producer Responsibility Plan. 2019-20 - E-waste CollectionTarget is 30% of the quantity of waste generation as indicated in Extended Producer Responsibility Plan. 2020-21 - E-waste CollectionTarget is 40% of the quantity of waste generation as indicated in Extended Producer Responsibility Plan. 2021-22 - E-waste CollectionTarget is 50% of the quantity of waste generation as indicated in Extended Producer Responsibility Plan. 2022-23 - E-waste CollectionTarget is 60% of the quantity of waste generation as indicated in Extended Producer Responsibility Plan. 2023 onwards - E-waste CollectionTarget is 70% of the quantity of waste generation as indicated in Extended Producer Responsibility Plan. Extended Producer Responsibility (EPR) Targets for new producers and existing producers those have started operations recently i.e. number of years of operation is less than average life of their products mentioned in the guidelines issued by CPCB from time to time. 2018-19 - The E-waste collection target is 5% of the sales figure of financial year 2016-17. 2019-20 - The E-waste collection target is 5% of the sales figure of financial year 2017-18. 2020-21 - The E-waste collection target is 10% of the sales figure of financial year 2018-19. 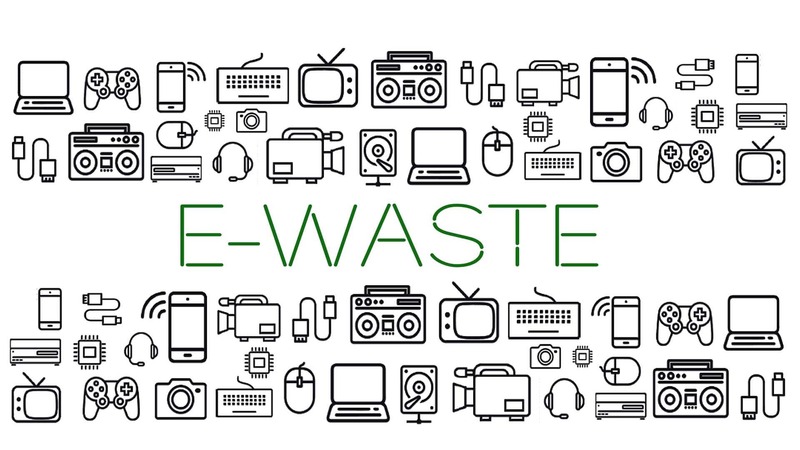 2021-22 - The E-waste collection target is 10% of the sales figure of financial year 2019-20. 2022-23 - The E-waste collection target is 15% of the sales figure of financial year 2020-21. 2023-24 - The E-waste collection target is 15% of the sales figure of financial year 2021-22. 2024-25 - The E-waste collection target is 20% of the sales figure of financial year 2022-23. 2025 Onwards - The E-waste collection target is 20% of the sales figure of the year preceding the previous year.